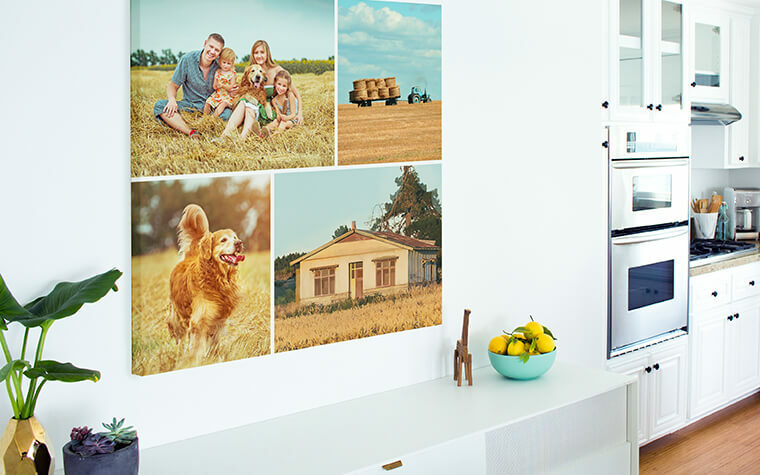 Choose up to five photographs and create a custom Canvas Photo Collage. Once you’ve selected your favorite pictures, your Canvas Photo Collage will be perfected with complimentary retouching and color correction for impeccable results. Enjoy your unique wall décor and share a Photo Canvas Collage with family and friends!